I’m finally home after spending the past 2 weeks on the road and a wretched travel day today, but a couple things that I’ve encountered on the forums as well as in NYC bothered me enough to get it off my chest tonight. 1. What is it exactly with the obsession in the various communities in NYC and pyramid schemes and thinly disguised MLMs that serve no business purpose other than enriching people at the top of the pyramid? Regardless of what brainwashed people will sell you, real products and services sell themselves without needing to create scammy pyramid structures. Did people not learn their lesson from past frauds or better yet from Madoff himself? Sure, people that get in these things early may make money, but that money comes at the expense of everyone later on that will lose everything when the next scheme goes bankrupt. Is that stolen money really something that you want to have in your pocket? It’s shameful. And even more shameful that local institutions are encouraging it time and time again. It’s time for people to speak out against it. 2. There were ads everywhere promising people cash for letting companies apply for several credit cards in your name with your personal information. They even encourage you to get your entire synagogue to fork over their social security numbers as a fundraising project. I mean are you kidding me with this stuff? First of all why in the world would you ever give someone else your social security number together with all of your personal financial and security information? Do you have any idea what kind of damage can be done if that winds up in the wrong hands or if there is just one careless or malevolent employee?? Equally worrisome is that these companies are creating spend in shady ways so quickly that it’s causing people’s accounts to be shut down or blacklisted. Several people have told me they’ve run into such issues. Folks, if you can’t grasp the credit card concept don’t just outsource it to a fly-by-night advertiser. Find a friend who understands the concepts and ask for help, read posts I’ve made here, or start browsing DDF and find answers there. There’s simply no excuse for that kind of laziness and carelessness. 152 Comments On "Some Deals Are Not Deals At All"
+1 Great Rant! I can’t agree more. I empathize with you completely–it frustrates me as well. I wish people would think a little more before acting. People can say a lot about DDF, but for the most part, the top members think before they act and don’t act foolishly with their money etc… The irony is that this is everyone’s claim against DDf, “YOu have no control over your money, “You spend like crazy”, “you are killing your credit” etc.. This is all when the members of DDF have some of the highest FICO scores around even with 13 cards open. Anyway, sorry for my rant. I second that Dan, Well said! Ambit is also a big mlm to hit the frum community. agree I hate those (()1#1:44 cc signup people .. One is they ruin the credit card game by abusing . To get tons of money for themselves ..
Long time in coming. People also need to be aware that there are possible criminal ramifications including bank fraud, wire fraud, mail fraud etc. associated with these schemes. Its not about making quick money. When will people learn that there is no such thing as quick money? Hi! Great seminar in Monsey. Thanks. I have been telling my friends some time already not to touch these people who apply for you. They are ripping you off! Besides, the easy they do spending is dangerous and very unethical. Kudos to you for speaking out about these pyramid businesses. I personally have had friends for years try to get me to attend meetings, and “sign up”, and been fed all the crazy garbage about how much you can make. Luckily I’ve politely resisted, but others might not be able to. It’s just a lazy man’s way to think they can make money off of someone else. Herbalife, a major publicly traded company, has been the subject of such accusations for years. They’re now under investigation by the FCC, but that will take years. (They already settled a major lawsuit many years ago for the same types of stuff, but claim to have “changed”). There’s a 60-Minutes investigation which one can find online somewhere, I’m sure. Kudos again.. Because I’m sure you’ll have all the sleazebags crying bloody murder at your chutzpah for saying this. Bring it on. This is why I’m creating a new company to warn people about fraudulent investments, pyramid schemes, and credit card scams. Because we have a lot of overhead costs and need to get people involved, I’m allowing people to join for just ninety five dollars. The best part is that if you recruit someone, you get half their membership cost as a thank you! Email PyramidShmyramid@shamsandscams.com to join. Please put “Here’s my money” in the subject line. I came to your forum and I 100 percent agree, i ran for public office in brooklyn and encourage people to work together and help the communities throughout brooklyn than to hurt it. I am upset and am one of many like you trying do something about it. Email me whenever you like. keep up the great work! Great post! I totally I agree. I live in Lakewood and it’s astounding to see all these companies try to open ccs for people…. Drives me crazy. And they even started advertising heavily in the mainstream Jewish media. And then there’s the guys who advertise 35k Starwood call this num… As if it’s not available publicly. I’ve been in the cc miles game for two years now and it still amazes me how ignorant most people are of the basic basic stuff. I think Ambit is different. I think it’s legit. I’ve heard people bashing it countless times but always without a logical reason. Is there anyone who can open an honest debate and state an argument without sounding foolish??? Someone will go to jail for this. And the idiots that fall for it, sorry of deserve what they get. There is no free lunch. People aren’t getting mileage etc for free it’s work. They’re making crazy amounts of money by keeping half the signup pot for themselves. But besides for that it’s nuts to trust them with your info. Please take my money and make it earn crazy interest. Check is in the mail. People need to speak up, it can’t just be me. Put together funds to advertise against these scams. If it’s legit then why the whole pyramid aspect? If they can get something cheaper than it will sell itself with a website. MLMs subsidize “products” like MyHarvestAmerica subsidized gift cards by getting more suckers to invest and enrich the first people in on the scam. Then they went bankrupt and left everyone holding the bag. The people who sold it to everyone may think they made off well with all the cash but it’s stolen just like Madoff’s fortune was. Besides for that I’ve heard from people who followed up on their promised savings a year later only to find out they were being scammed and charged much more than promised. But even if the savings were real the need for the pyramid is a massive red flag. Always refreshing to hear some sense, but you’re fighting a losing battle I’m afraid. These phenomenons stem from a deep-rooted cultural issue which is almost impossible to correct at this point. Most communities in the frum world (and the world at large) have lost the value of supporting oneself through self-sufficiency and hard work. Ambit Energy came under scrutiny from regulators and consumer advocates. In New York, state officials and consumer groups have claimed that sales representatives, who are paid by commission, have misrepresented contracts, exaggerated financial benefits of membership, and been excessively aggressive in recruiting vulnerable groups such as the elderly and non-native English speakers. @Dovid: My favorite reply yet! In my opinion this pyramid scheme is going to be continually reoccurring in the yeshivish world more and more as it offers an opportunity for quick “riches”. The reality is more times than not you’re left with cases and cases of beauty products or vitamins or costume jewelry sitting in a closet or a basement. The issue is not so much with a way of thinking as it is that many frum families are running very tight budgets and it isn’t hard for some of them to be sold on how easy it is to make a few extra dollars by working at home. If you look you will find that most of these pyramid schemes (and I’ll include most kinds of insurance) are designed to prey on the weak, the poor or the uninformed. I’ll fight the good fight. Its time for a common sense approach to get-rich-quick BS. More jewish bloggers and publications ought to join in and fight the cancer. With all due respect to you I personally have done a lot of research in mlms and there is a few out there that are scams which gives a bad name for the rest of us but with all due respect I don’t think it’s fair to say that all are scams. It cod be you had a bad experience with someone approaching you but that doesn’t make it a scam. And finally looked at corporate America and then tell me which is a bigger scam. You don’t make the person on top richer by doing what your doing and not being able to grow your self. In mlms you could make more and grow bigger then any person on top I have seen it happene many times over then years that I have been involved. And just to give you some background about me I am a very successful business man and use mlm to get my hands in more industries out there. You basically open a business with out the big comments. If you know there is several if not all millionaires and billionaires that get involved in mlm just for that factor alone. Just an FYI and sharing my feelings and thoughts as well as experience with you. Again on bad apple doesn’t make the basket of fruits bad. I’m just waiting for the bust on lyoness!! Someone tried getting me involved 2 years ago…. Bh I was able to see through it. If it’s a great product why in the world would it be a big mathematical equation to understand how you’ll supposedly make money. Let the product sell itself. Oh…. And btw there is no get rich quick pill!! So true .. you hit it on the button ! I was on ambit an was paying more than others in my building with con ed. its all bs. The choice of pyramid versus marketing and advertisement is one every owner has to make. Why they chose this model idk. But why should they choose a regular marketing strategy over this one? This strategy allows customers to be more loyal (which doesn’t mean that there’s something wrong with the product). As to those people not getting the savings, there are a variety of reasons that that could’ve occurred. Ambit themselves say that it’s possible that it won’t be perfect and they therefore send out reimbursement checks. It’s up to the private person who signed them up to take care of it. The one redeeming factor about Ambit is that they have a real service that actually saves people money (over the incumbent, over 12 months) and all you have to do is get 15 people to sign up for their service to make money. To tell people that they can make lots of money, gain “financial freedom”, etc is all a bunch of marketing garbage that borders on sheker and lifnei iver. But you don’t have to actually sign up consultants under you in order to make a small profit. You don’t even have to sign up as a consultant at all. All you have to do is get the free energy credit by referring 15 people, and this can be done without any signup fees. @Ambit: People that sell ambit will tell you that we will lower your electric bill. That may be true in the beginning but I know a number of people that told me that after a few monthe the rates went up and they are paying more. Wrong. They are all dishonest. Like Dan said, if they were really cheaper, it would sell itself. Totally agree with everything u said there this other company called acn they have been begging people for months to sign up asking to come to slide shows all and saying you could financial free in in a few years just from signing up (which cost $500) and getting friends to join your peramid I think it’s all a scam!! where is the link about SIN-NYC for20k? Thank you Dan for this most important post! I really hope that it’ll will reach the people who need it most. You need to market you product, and there are different methods for that. Ambit starts you off cheap but then rates are much more than coned, just compare with your neighbor to see through the scam. If you call them out on it you might get a credit but who wants to keep doing that? It won’t take long for the gov to be like wow u own 7 companies and your making 30k a year? These ppl are killing the miles!! I think that these comments were the most usefull of any comments ever posted on your site! Thank you Dan for speaking up, in my opinion Arbonne is a scam as well that the frum community is sucked in to. Reply to cc sign up. You are 100% correct. My father got a bill this week with over $3000 from a credit card underneath a clothing store. Someone had all his info and made a credit card. And I realized it said credit available around $1000 so he spent an additional $6000 atop of that. We were able to get all his information except his name, and just yesterday the police started searching to find who it is. However they said they get identity theft all the time and their punishment is either like month in jail or community service and then they get right back at it. My father never gives his ss to schools or anything which makes it more scarier. You can’t trust anyone with ur SS. ok everyone listen up i am a big business man. i manage the coffee machine in shul around the corner from de mikveh.and when i meet someone for the first time and they ask me, wat u do for parnusah i always respond,real estate! basicly my advise to all of you rich ambit dealers out there, is to go out and do somting real mit your time.go buy a west African lottery!im serious all you have to do is pay the taxes of about $3000.00 and you will win bet 1.6 and 8.7 million dollars. @Ambit: In New Jersey the rates don’t go up over the summer unless you use a lot, and even then it is minimal. The bill will be higher due to higher usage only. If Melaluca is such a wonderful line of products: why aren’t they sold in stores? Why do you need a minimum order every month? Dan your points are well taken, but I don’t completely understand why you have an issue with those companies charging to get credit card bonuses for you, aren’t they providing a service for you? I mean don’t you make a hefty referal fee for every application (which a great majority of readers are unaware of)?. Wow. Your writing and grammar skills certainly back up your claim of being a “successful business man”. I’ve tried explaining this to people always! Thankfully was able to save many from the Ambit scam, some people just get so brainwashed! So many people approached me about Ambit, I turned blue in my face to explain why to stay away. I agree with @ybeeds this should be stickied to the top. How much to sponsor that? We can most probably get a few sponsors. Well said Dan! I value your opinions as I am sure many people do. Thank you for this post! @scamsters: It’s totally different. We’re not doing anything illegal or even shady. Credit card companies know there are people that do what we do. They even pay bloggers like Dan referwals. They do it b/c they know that even if they lose money on some people it’s still profitable for them. They make a business decision to continue this. Some banks don’t accept as much as. 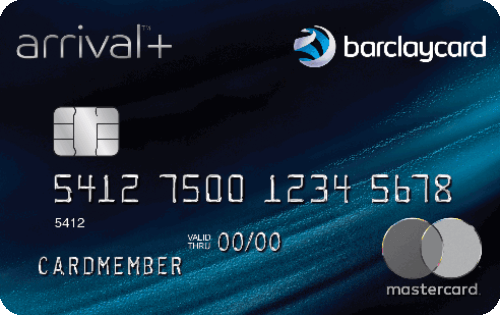 For example Barclay’s is harder to get approved if you have a lot of credit inquires. Chase, on the hand, is easy. Amex recently made a business decision not to give signup bonus multiple times for the same card. That’s a perfect examples of showing how we’re not stealing or even being unethical with the credit card companies. At the end of the day the banks make the same processing fees for processing credit card charges for someone who has $25,000 in legit expenses a month vs someone that has $1,000 a month and $24,000 of manufactured spending. Finally it’s important to point out that if the credit card miles/point game ever ends we won’t be out anything. We just won’t be able to get miles for cheap. With these other games that Dan referred to people can and do lose money. It’s a lot more shady. There’s nothing illegal about buying gift card with a CC and then buying a money order with it. It’s totally legit. Great warning post, and a good follow up would be an analysis of previous frauds and their defenders. FYI, here’s a link to a thread in DDF discussing SunGames. @cc signups: I don’t give my CC to anyone. I once wouldn’t give it at a doctor’s office. The receptionist had the doctor come to talk to me about how it’s required and it’s required for him to treat me. I said did they teach you that in med school? Is it part of the hippocratic oath? The receptionist then said I’d have to leave since I’m not financially cleared. I called my insurance company on speaker in the office and said is it required for them to properly get paid. They said no, that’s why they have ID numbers on the insurance card. They said I could file a complaint with the state medical board. When the doctor heard the person from UnitedHealthcare said that he was like.. lets go into the exam room. Don’t be fooled into constantly giving it out your social. 99% of people that ask for it don’t need it. I certainly wouldn’t give it to some hocker to open credit cards in my name that advertises in the Jewish magazines. @ SCAMSTER . These people open 4 of the same card under diff biz . Then spend on the cards with ” shady ways ” and downgrade . Then get the 200 airline fee credit. Transfer the miles . 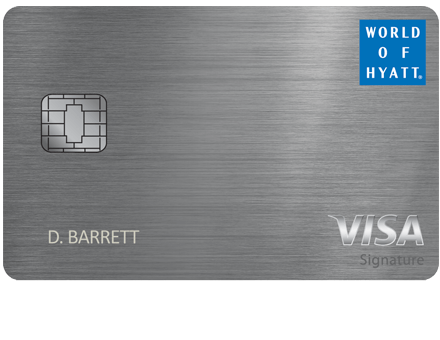 And then cancel the cards …..
what me and every one else do is use the card !!!!! And not cancel right away …. You think they are the cause of Amex only doin 1 sign up bonus now and all other things that they are cutting out aol the good bonus benefits bec of thes buisness that opens and close cc within 3. Months ? When you sell a legit product and commission is being distributed between the sales people it shouldn’t be a problem, the problem is when everyone pays a membership fee (or a agent fee) just that the agents should be able to divide with the money,I once asked Secretary of such a business when she explained me that it’s legit I mean this is gonna bust one day and maybe I’m the last person on the pyramid she told me that at the moment it’s still going on, what a shame. @RF: You are the first to speak the truth about this. CC points and miles should be a way of saving money and makingtravel easier, not a way of making a living. It’s because people shun making a living today that this cultural cheapness and abuse of CC programs has exploded. @scamsters: Yes, opening a crazy amount of cards and constantly churning is also abuse. It just amazes me how people have no common sense at all to engage in this in moderation so as not to ruin it for themselves and others. Then again, as was pointed it, it’s a cultural problem particularly in the frum world that people want to get rich quick because they don’t make a living. Of all the people i know that accumulate points, only the ones not working abuse it. I’ve been trying for years to get the Lakewood periodicals to stop the advertising of such scans but they don’t care as long as they get paid… It makes me crazy seeing it and I know a few ppl that are stuck with tens or in one case hundreds of thousands of dollars on their cc cuz a company was not doing well and was only paying the minimum payment. P.S. If a company resorts to using other peoples cards to pay the bills stay far away as it is an indication that their own cash flow is not good and they may not end up paying back the money. Yes, real businesses are going to enrich their owners, that’s natural. What is unnatural is forcing people to pay $$$ into a losing product that would never be able to sell itself without high pressure tactics and elaborate pyramid structures. These have been around for years and 99% of these companies go bankrupt as once they run out of suckers to scam there’s no real product that can support itself. Companies with a real product or real service don’t need people to buy in to become a rep. They hire real sales reps and not vice versa. Advertising models work when there is a real product/service. Otherwise you’re just selling more people to buy-in and THOSE PEOPLE are the only real product. Also reimbursement checks only go out to the squeaky wheels, everyone else just gets ripped off without even realizing they were lied to about lower rates after a few months. That money is because their bills are now probably higher than they should be (as many have mentioned) and because they have more suckers buying in. So keep patting yourself on the back. Did you also get that yeshiva to invest in sungames? And sungames is worth $4 billion all without selling a thing. And I’m sure myharvest reported crazy numbers also before they went broke because all pyramids eventually collapse. Madoff ran his pyramid for decades but as soon as the suckers run out it goes down the tubes. Ambit may last longer because not only due they scam the buy-ins they scam their customers by making false claims about lower fees according to many reports. That’s funny because you did just say it yourself. You may have changed your name, but thanks for commenting from the same IP address so that it just looks like someone agrees with you while we know it’s just the same person commenting under many names and posting that you did a good job. It’s a secret that this site is my business? At any rate there’s legit manufactured spend and then there’s shady manufactured spend that gets people banned and blacklisted. These people have no idea they’re about to get in trouble like that. Meanwhile they take the lions share of the points value for their “work” that took them 2 minutes online. Regardless, that kind of privacy guards are in place with all of those SSNs? Exactly, I never give out my SSN to anyone besides the creditor directly. Doing otherwise is asking for problems. 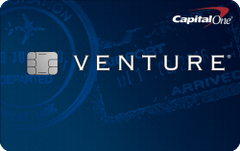 No doubt it causes AMEX to crack down on online transfers. Except if you’re banned from the bank/airline because of how shady the spend is. And anyone can make shady spend like that. No effort required and you can keep 100% of the reward instead of them taking 60% of it. I have had hundreds of MLM people try to advertise on DansDeals over the years. I’m proud to say that I haven’t taken their money even once. I want no part of tainted money. As my grandmother always said ” Saichel is an aidele zach”. People don’t seem to have learned the basic rule that if something seems too good to be true, it IS too good to be true. Also, Dan’s the Man is absolutely right about SSNs. Medicare and all of the other insurance companies specifically changed the ID numbers so that people’s SSNs were not out there. In fact, it may be illegal for anyone to demand your SSN for anything which is not tax related. You’ll find these types of scams and manipulations everywhere in America, but they are much more prevalent in our community because we have very high numbers of intelligent, hyper-connected, and money-worshipping young men. Those would be fantastic qualities except for one thing: very few of them are actually educated! The lack of [real] higher education is the biggest problem in our community. How many frum engineers, industrial designers, medical doctors, scientists, etc do you know? Even carpenters and plumbers?? Yes, a very small handful, but hardly enough. In Israel, frum young men looking to make money build a startup, launch a company, create an app, etc. There are few get-rich-quick schemes, and if they are, at least some hard product is underlying. The whole culture is enthusiastic about building, creating, innovating and yes, selling. In Brooklyn, everyone is either a real estate manager, accountant, trader, organization head, manager, storekeeper, etc and looking for the next big opportunity to move money from one account to another and make some profit. Where is the frum startup scene?? We have very few people in our community who can actually make stuff and/or make stuff happen. This is why the culture reverts to games and gimmicks like pyramid schemes, and real estate management scams. We need to start at the roots and encourage the acquiring of real skills and real study in the Yeshivas. Yeshiva should not be a four year break until you get married and are then too bogged down with wife/kids to go to college and become an doctor, engineer, whatever and are forced to resort to get-rich-quick schemes. The most serious Yeshivas should have an exam at the end of each Zman on everything you should have learned. If you fail the exam, don’t come back next Zman. Yeshiva is not for you. Go learn and trade and improve the world. That got MUCH longer than I thought it would, but I’m leaving it all there. Let me know what you think. â€‹Another reason why mlm scams work are so prevalent in the frum communities is because we are community! These scams rely on pressuring family and close friends to buy into the scam. Being frum means we have larger families (more people to sell to) and on average we are more connected with our community and extended family compared to the rest of the world. I (would like to) believe most frum people by now realise that this is a scam, but how can you say no to your brother who is “relying” on this extra income to support his family while he is in kollel. I have been telling people for years that its a scam, but even then you wouldn’t believe how often I almost buy in just to support a friend or family member. The only reason why i don’t is because i realise that buying in will only encourage them to continue on with the scam. It is recognizable that all of you against mlm including Dan did zero research on Mlm companies. I am in a company for 5 years and have great success. By the way your kollel brother doesn’t make much if you buy one product. Dan, love this rant, keep it up! What is Ambit? Is it that energy company? If so has anyone every heard of what Enron did to California in 2000 when it deregulated. Hello rolling blackouts. In regards to the CC signups, disturbing is an understatement. I know someone who received a call from one of these guys asking him if he can use his social to sign him up for a CC offer. How did he have this guys social? 4 year ago he had to give this guy his social for some service he was providing him!!! This guy probably has thousands of socials that he is saving. I wonder if he even owns a shredder. People are outright stupid that they would give their social to strangers. I dont care how much money they stand to earn. They stand to lose way more if they get screwed. I fully agree with yo on the MLM thing, but lets not forget there are successful ones that are around for years. Tupperware, Avon, Amway……… Again I despise the idea and most of them are quick get rich scams that fall apart and a select few actually profit off the losses of others. People fall prey to these things because they are desperate and need money asap. They are convinced in a vulnerable state and convince themselves and eventually others that this is the way to make it. It’s not particularly complicated: get rich schemes have become the crack slinging of the frum community. In a world of undereducated, underskilled, financially strapped, keep-up-with-the-cohens culture, people tend to gravitate towards the something-for-nothing play. It’s just human nature. Pyramid schemes, off-the-books employment, welfare scams, and yes, even the credit card “game”, are symptomatic of a desperate culture. I wouldn’t be surprised if the people most obsessed with this site, are the ones who can least afford to actually take the time off to travel. I don’t know how many people are aware of this, but Dan has an MBA. Until the chronic educational and skills gap coupled with the paycheck-to-paycheck culture of dependency is addressed, I’m afraid the get-rich-quick schemes are here to stay. @cc signups: You make it sound like these people are so calculated. With that kind of logic there should be no murders or violence at all. However there are currently more than 3 million prisoners in the US. @PraiseCanada: lol accounting is not higher education? Last I checked, they have to go to university. If an accountant is advising or is involved in an MLM, he is not an accountant and I would recommend you look for someone else to do your taxes or financial statements. Very well said (as always). Thanks for bringing this up Ina public forum. Just last night I was trying to convince someone not to give out his personal information. Regarding Ambit, I personally am a victim. They offer introductory rates & change your rate quicker than you can read the fine print. Be very careful as nothing is what they promise. In the long run ambit vs your local utility company.. Stay with what you have. Very interesting to note that most MLM supporters in these comments use poor grammar, and never offer solid arguments or responses. Dan, I’m a long time fan, and posts like this increase my respect for you tremendously. The MLM guys ruin it for everyone else. Shame on them for financially harming other community members. I love how you read my comment according to your views and therefore decided that my “brother” wont make a a lot of money from “one” product. I was not talking about my brother in particular, rather I was saying how hard it is for anyone in the community to say no to your brother, sister or any of your relatives for that matter (especially when they really need the income). They never try to sell you “one” product, there is usually a whole product line. You are one of many relatives and friends that they are pitching to, so even though their commission is small they hope that if they can sell a few hundred dollars worth to each person the commissions will start adding up. The reason I feel like most people are waking up to that fact that it is a scam is because the last few people that tried to pitch the ambit deal to me didn’t even bother sticking to the claim that it was cheaper. When I told them that most people that switched to ambit said it wasn’t cheaper in the long run they right away switched tactics and asked me to switch to ambit as a personal favor since they get a commission. @Anecdote: While I strongly agree with Dan’s post, your anecdotal evidence is also applicable to most of the people on this thread supporting Dan’s argument. I wouldn’t recommend judging people’s intelligence or integrity by their spelling and grammar on an internet forum. Many valid points. If only there were easy answers. But the amount people who waste their time in yeshiva is tragic. It’s one thing to learn, but to not learn and still not have a trade is ridiculous. Even if there were real exams people would probably just cheat to stay in the system. Madoff had incredible success as well. Until the pyramid collapsed, he went to jail, and his kid committed suicide. Was all those years of success really worth it? Time for a new blog, Dans rants? I do have an MBA, though my undergrad is from yeshiva and I did the MBA while living in my parents house. I have 5 younger brothers. Next one down is 2 year med, and the one after that is accepted to an ivy league law school. So it can be done without engrossing yourself in the poisonous atmosphere of many traditional 4 year colleges. It takes perseverance and effort though. Sick. Amazing how many fall for it. I’ve heard it time and time again, both from the sellers and people who just use their energy. Most have no clue they’re being ripped off. Hope that relative feels good about himself that he ripped you off and damaged a relationship or $500. Seems to happen to everyone. Ive seen lots of guys get on the Ambit and the credit card signup bandwagon for a while now and I must say I am extremely proud of this post. Wow. All I can say is wow. I had no idea that credit card signup scams like this existed. Thanks for getting the word out. @Dan: what is exactly your problem with mlm? Do you think there’s fraud involved? Why are you comparing it to the cc stuff? Didn’t call it evidence, but simply pointed out the irony that the MLM promoters generally have poor grammar. Take it for what it is. 99% of of MLMs are fraudulent. Any time a company is more focused on recruiting more suckers than on selling a good product (or if they’re selling something at a loss) is a sure sign that it’s a scam. The pyramid always collapses eventually and lots of people lose $$$ when the company declares bankruptcy. This happens time and time again. I’m not comparing it to the CC people. It’s just 2 things that really bothered me. The Shark Tank sharks rip this guy to shreds. Entertaining! @Dan: is this based on assumptions or on research? I know there are close to a 1000 mlm companies in the USA! It’s just a different and new way of marketing your business or service. It’s time to get updated! @Dan:Dan, What you exposed about the guy congratulating his own post with a different name but from the same IP is just too cool! BTW did you ever get burnt by a MLM that your so upset at the concept? It’s not different or new. We did research on MLMs in my MBA classes. By and large they’re a disgrace and almost none of them have a worthwhile product or service so they resort to making money on buy-ins. Some sell products below cost (MHA) but go bankrupt because there’s only so long that the buy-ins can subsidize losses. That’s not a business model, it’s a classic pyramid. Others lie about their service and cheat you as soon as you stop paying attention. 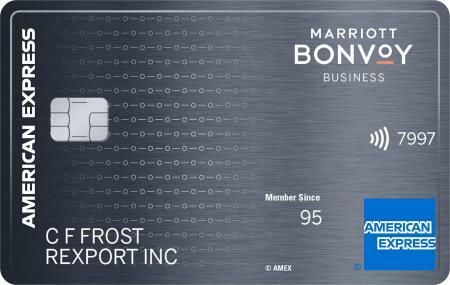 If the banks wanted they would all do what AMEX just did to consumer cards, one bonus per lifetime. But they don’t and there’s a reason for that. It’s not comparable to what these card opening companies are doing to unsuspecting and naive people. No, would never touch that with a ten foot long pole. You don’t have to have been burned to get outraged. Can you name any business that does NOT end up shaped like a pyramid? Or some variation of that. Map out the org chart. What is the shape? Be very careful emphasizing the “shape” of an organization to determine whether or not it is legitimate. A Pyramid Scheme is very specific – where money is being transferred without a product or service of value in exchange for it. If there is a product that is worth the price of it, then MLM is a legitimate option of getting the product to consumers. It’s not like the *right way* is getting the product in stores and the *wrong way* is having people demonstrate it in homes. Just different options. If you are going to decide the *right way* to market a product, then are you going to decide whether they are right or wrong based on whether that put it on the shelves at WalMart vs Target, or CVS vs Walgreens? Get real. Judge individual companies on their own merits. Generalizing “generally” makes a person sound ignorant. Like I said, most MLMs exist to sell buy-ins. Real corporations make money on products and services. And it’s more efficient to sell products direct than via convoluted chains. Most MLMs have token products/services that are not profitable by themselves (or if they are that’s because they lie to get people to signup before eventually cheating them). The whole value is in selling more buy-ins. And that is an illegal pyramid scheme and always winds up crumbling. Madoff ran his pyramid for 50 years until it crumbled! But crumble it did and now he’s rotting in jail for his crimes. It make take time for the law to catch up, but watch out when it does. Glad to see that there are a handful of like-minded people out there who see this tragedy for what it is. The single best remedy for a host of social ills in our community is to (re)introduce into our chinuch systems the encouragement and appreciation for Yeshiva graduates to pursue a career which will allow them to be self-sufficient and even be in a position to give to others. If anyone has any concrete ideas on how this can be achieved, I’d love to hear them. So I sell Mary Kay cosmetics. And yes my director lied through her teeth about it. In my opinion it is PURE LUCK!! Yup. If you are good at selling and convincing people to do something then you will be succesful but if you are honest and kind and caring like me it will get you nowhere. Don’t get me wrong I love selling mary kay and I do it because again, I love their products and believe in it but I do not go for the whole signing people up and getting people under me and becoming director. Do I think I could get a car? yes I have seen my director and others get fabulous cars BUT she lied to me and went on to teach me how to further lie to others. The enjoyment of selling and having a business is lost in the crazy amount of hard work you have to do to get people to sign up. So while MK say they are not an MLM (because the person who signs you up gets a % for every order you make but anyone higher than that gets nothing) they market it and focus on it like it is. I am way to honest about this for anyone to ever sign up under me. Anyone who does will know that the “only $100 start up” is a lie since you need to invest a good $2-3000 to get anywhere. And it won’t be because I persuaded them to (much to my directors dismay). I hate that I was stupid enough to believe that investing $3600 right away was the best thing for my business since I am left with a bunch of stuff that I got in that order that no one ever buys/uses. I had to invest way more for cards, and other stuff. But I do love the products so I still sell if people ask me. As for ambit, again, pure luck. If you are a big enough scammer and smooth talker you will get places but like others said it is not honest money. Oh and yes dan, people in Brooklyn are all about fast money whilst scamming it off others. I know of some that totally focus on marketing the product. Once people see how well the product works, they have the option of getting in business for themselves. It could be said that franchises exist for the “buy-ins” – at sometimes hundreds of thousands each. Back in the 50’s and 60’s people who had a mindset that there was one and only “right” way to have a business tried to shut down this new idea called franchise. If someone pays $100,000 for a franchise, and all the other expenses of starting a new location, it may fail. If so they generally don’t whine that “they just wanted my buy-in, I want my money back”. They started a business, and it did not succeed. Next. However, if someone is putting $50 into starting a business, and since they have very little at stake, they don’t do anything with it, expecting it to build itself by magic, it is likely to fail. The majority of people that get into MLM don’t treat it as a business that they actually have to put work into, so you get a lot of voices whining that “the system doesn’t work, so it must be a scam, and I lost the $50 I put into it”. Some franchises are a better deal and more likely to succeed than others. Some MLM are a better deal and more likely to succeed than others. Neither will succeed without work being done by the owner of the business. The more great quantities of items are put into a category and summarily dismissed, the less intelligence is needed. Spreading FUD (Fear, Uncertainty, and Doubt) doesn’t take much. Saying “all fast food hamburger franchises have nothing but unhealthful food” or “all chicken franchises have over-priced food” would not be an intelligent use of breath or recycled bits and bytes on a blog. Same with “all” “nearly all” “99%” or whatever, MLM are any certain way. After all, 93.8% of all statistics are made up on the spot! That is one company. I wouldn’t want to be with a company that offers or recommends buying thousands of dollars of product up front. That is known as front-end-loading and I thought it was wiped out of the industry decades ago. I am way to honest about this for anyone to ever sign up under me. Anyone who does will know that the â€œonly $100 start upâ€ is a lie since you need to invest a good $2-3000 to get anywhere. If the business isn’t one you believe in, because you know it takes thousands of dollars of investment, you have the option of many other businesses that do not require that. In a conventional business you earn money on the work of employees. In an MLM, you earn money based on the efforts of other business owners you introduce to it. Either way, the amount you earn depends on how well you train them and how hard they work. The problem is … ? LOL! Wish I would have seen this before, and found a way to post it in yeshiva’s coffee room! Thankfully it seems this scam has died down in Lakewood. @SL2: Plenty of Ambit nuts running around still. @Anonymous: signing up and cancelling a credit card is not dishonest. Writing that you are a sole proprietor of a non existent company is dishonest, as well as lying about your income. Even if the credit card companies “don’t care”. When I was young Rabbi Eli Teiltelbaum used to write articles in the country Yossi magazine exposing all the scam as scams. Some of his writings are online, just google him. I find though that as the old saying goes there are no answers for those who don’t want to hear. People who get involved will try to defend the companies until they don’t have a penny left. Always trying to explain why this one is different. I felt spoke out about these scams so many times in yeshiva and gave up learning time because I felt it was so important. I even went to one of the first Ambit meetings in Lakewood to try to stop it. @DAN While I have no experience with mlms, I am instinctively inclined to agree with your wariness. With regard to the CC sign-up service, I obviously agree that any individual contemplating taking advantage of it should be very diligent: constantly monitor your accounts, let the service providers know that you are knowledgable and on top of all that they are doing, etc. However, I dont see what is inherently wrong with it. For many people the convenience of not doing all the technical work (which is not so easy to the many who are not as capable or versed as the average ddf’er), coupled with the otherwise inaccesible large sign-up bonuses, it is an extremely helpful and lucrative offer. Regardless, the talk about our chinuch system, yeshiva exams and so on seem a little misplaced. Talking about stereotypical “yeshiva guys who aren’t learning” is IMHO not the function or purpose of your site, and quite honestly, any online forum. Any hashkafic issue is intrinsically not something to be debated by the masses and public comments such as these can be detrimental when viewed by the uninitiated inside or outside our community. Keep up your great work providing ur with great deals and valuable information! My family is proof that you can get into business, law, and medical schools without a formal college education. It can be done already, it just takes diligence and hard work instead of get rich quick schemes. Franchises sell a good product and have a proven track record. MLMs typically have no real product and it’s all about selling other people to get under you. And the products they do have are just a facade to make things look legit. Studies show that 99% of people in MLMs lose their pants or break even. The 1% that sells, sells, sells make good money. But their friends and family all shudder at the sight of seeing them. Real businesses pay employees to do good work. Lying about income is definitely dishonest though you can include household income. If you sell items on Amazon/eBay though it’s perfectly acceptable to open a business card for it. No need to have a registered business for that. “Monitoring your account” isn’t going to help you when your identity is stolen. 1 lost/stolen SSN can mean years of headaches, corrections, not being able to buy a house or get another card/loan. What kind of protections are these fly-gy-nights offering? You’re giving them everything from your SSN to address, income, mother’s maiden, city of birth. With that much information someone can cause a lifetime of hardship. But besides for that, the way these companies are spending money isn’t buying legitimate items. That might be worthwhile. They’re making fake charges, sucking out as many points and credits as they can, getting people blacklisted and closed in the process. Nothing more than a bunch of leeches. 2nd of all I’m not saying that yeshiva guys don’t learn. I’m saying the ones who are wasting their time, and they know darn well who they are, shouldn’t just stay in yeshiva because it’s easy/familiar. Yeshiva is a great thing for those cut out for it, but to put everyone in that cookie-cutter is wrong. Those who aren’t wind up wasting years of their life instead of learning a real trade which would be able to put themselves one day in a perfectly acceptable Zevulun situation instead of being a leech on society without even pretending to utilize time learning. Everyone has to know their place, it’s not a one size fits all answer. @Dan: Looks like you all agree that yeshiva students are more likely to fall for scams. But you all forget about the millions of stupid highly educated people falling for scams like free cruise to Caribbean or an estate in conga if you pay the tax fee. no yeshiva guy will believe this? and the claims about Amex itâ€™s a BIG lie because all advertised card are business cards which arenâ€™t affected by the new rule. It’s not a “yeshiva student” per se. It’s people desperate for more income. What claims about AMEX are you referring to? All I said was the new changes that blocked online transfers to others was probably caused by mass brokerage of AMEX points. @Dan – go for it! @Dan: But usually yeshiva students barely make it, and they look for side income from the credit card game. in my opinion that makes more sense than wasting all day on DDF and make a living from it. Yes, much better to be involved in fraudulent schemes that people have gone to jail for and that have stolen millions of dollars than trying to earn a non-traditional living because you never got an education. Agreed, anything is possible with perseverance and hard work. I’m guessing that your family was raised in an environment that encouraged and supported career pursuits, as was mine fortunately. But ask any mainstream 12th grader what his rebbeim’s/parents’ reaction would be to his wishing to plan a road map for obtaining an education or starting a business, and the responses will be very enlightening (and depressing). We are stifling our youths’ creativity, ambitions, and potential, and the price for this deleterious approach is the get-rich-quick culture which you so impassionately denounce. sorry Dan if i was a little to sharp. 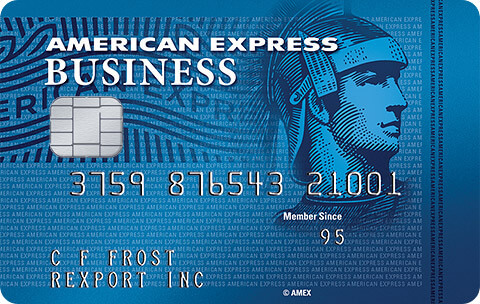 Just to get this clear, we can no longer transfer Amex points to other people? I think its time for you to write a book + you should absolutely write on such touchy subjects once in a while its healthy for your fans to read such info. I am thoroughly entertained reading these comments. It seems that the simple solution is the have the MLM guys prove to us why the CC signup guys are wrong, and have the CC guys tell us why the MLMs are scams, and there will be no need for us to scream until we’re blue in the face. how about the company called ATN ? @Chaikel: sorry but it’s look like you post in shabos kodesh!? doesn’t shaklee work with the pyramid method for advertising. does that mean they are not legit/their products are not worth buying? The talmud says: “One who does not teach his child a trade, is as if he teaches him thievery. [Being that he has no means to support himself he has no choice but to steal/scam/be dishonest]. Funny how things haven’t changed in thousands of years. Yet, too many people are too busy learning gemara to learn how to earn an HONEST living. This post was long overdue. Expose them for what they are. With enough exposure maybe we can “put a fork” in them. @Dan’s the man: yes but what these companys are doing is doing refundable spending just to trigger bonus there not even doing MS.
@miles genios: THEY ARE DOING IT IN AWAY THATS BORDERLINE FRAUD. AND THE ONLY COMPANY THAT YOU HAVE DESCENT SHOT AT NOT GETTING YOUR ACCOUNT SHUT DOWN OR POINTS TAKEN AWAY IS AMEX. @Motz”sh Kodesh: Yes, but you posted on Shabbos Kodesh as well. It was well before shabbos was over in Alaska. Guys does anyone know if melaleuca is a MLM? Someone once approached me and it sounded sooo good. I even spoke to someone really high up who really made it seem amazing. Free car, commission for everyone you sign up, etc. Can anyone tell me tier experience with this? @Melaleuca: If a company requires you to pay them to market their product, that’s a big red flag. Do you think Amex, Chase etc. require Dan to pay them for the right to post their links? While this whole cc issue may be perfectly legal, it is nonetheless a CHILLUL HASHEM. that’s why Rav Shmuel Kamenetsky among many other Gedolei Hador have signed a letter saying we should not abuse the system…. I spoke to Rav Shmuel Kamenetsky twice today. Very enlightening conversations. “I even spoke to someone really high up who really made it seem amazing.” – That is a sign of an MLM – they have “really high ranking people” tell you how great it is. Most probably it is only great for them because they are high up and built a large pyramid under them. For you, it will be a lot of hard work before you get anywhere near their level. “Free car, commission for everyone you sign up, etc.” – that’s assuming you actually sign people up which is not at all a given unless you have a lot of gullible friends and you are evil enough to try to push this on them. And remember that the “residual income” that they promise is only if the people you sign up keep buying the products every month. At least with something like Ambit they just have to sign up one time and you get paid every month assuming they don’t switch away. Here they have to keep buying the over-priced products every month. @Dan: most of them are now only doing amex it seems the problems of closing accounts are far less. @Dani: which issue? 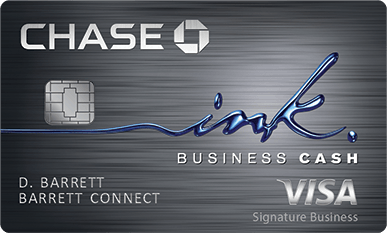 the cc signup companys or the credit card game as a whole? @Melaleuca: Melaleuca sells their products to you as a customer even if you don’t want to “build a business.” That’s what I’ve been doing for years. And if you do want to build a business they don’t charge a lot at all. It’s $29 which can be just $1 if you wait for these promotions that come every so often. It’s good if you want more natural products. You don’t need to talk anyone into buying anything. Just buy what YOU need. That’s all. I don’t see what’s illegitimate about this at all. @100% agree: Ambit is a huge scam and IT IS an MLM. Please stay away! @hvaces42: Wait. This comment is inappropriate. As long as everyone is honest, an MLM is NOT a scheme, and it is not at all illegal! MLMs are just STUPID investments. M.L.M. is an acronym for Most Loose Money! Their products are often resold by am MLM’s distributor at 30-40% ABOVE retail! However, if u like a product and u can afford it, it is usually OK to buy it. Just don’t be enamoured by the company’s claims about the product unless they can back it up! @hvaces42: Cute. True. But this is Dr he safest MLM company that I have seen. You just probably won’t make a lot if money. And Ambit would profit nicely on downloading u on a large starter kit that u DO NOT need it want! @Ambit: @don: A scheme is illegal. An MLM IS LEGAL! They are just stupid investments for most people! It is very hard to make significant amounts of money with Ambit. Let’s clarify a very important fact here. Multi Level Marketing and Consumer Direct Market are totally different. The difference is similar to the difference between apples and cars, earth and outer space! Melaleuca is a safe and honest Consumer Direct Marketing Company! They are an INC 500 Hall of Fame company. They are one of only a handful of companies to be on the honor roll if the Better Business Beaureu. They never ever made less money than the year before! As their outstanding higher quality, safer products sell themselves because they are unique, cost effective, and they really did work!